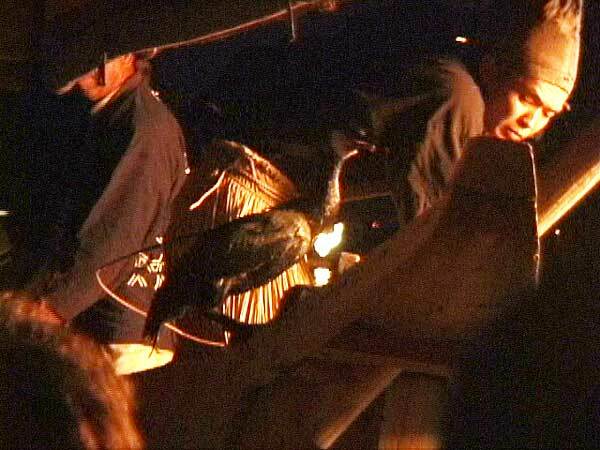 Ukai, or cormorant fishing, is a traditional method of river fishing that has been practiced in Japan for some 1300 years. 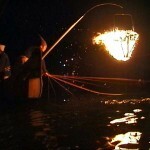 This method involves fishermen using cormorant birds on leashes to catch sweetfish (such as the Ayu). Ukai is not as widespread as it once was, because it is no longer an economically viable form of fishing. 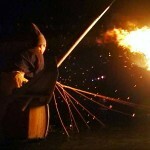 However it has managed to preserve its traditions and is increasingly popular with tourists. Ukai was very popular amongst the feudal loads from the Heian period (794-1185) right through to the Edo period (1603-1868). 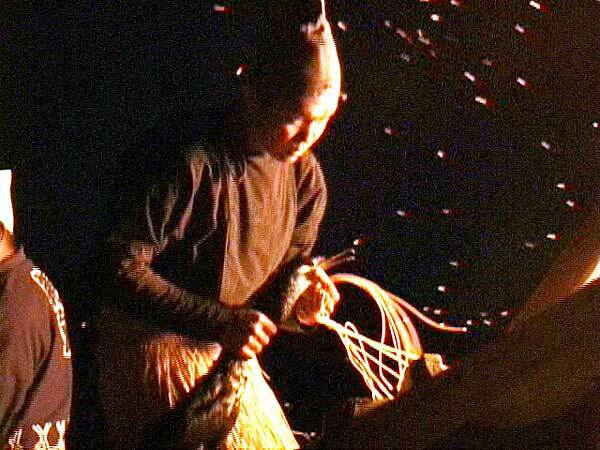 The fishing was patronized by the local ruler and later gained special recognition as it was also used to catch sweetfish for the Imperial family. Nowadays, there are only a few people authorized to perform ukai, and it is protected under the Imperial Household Agency. Positions are usually inherited and passed on within each family. 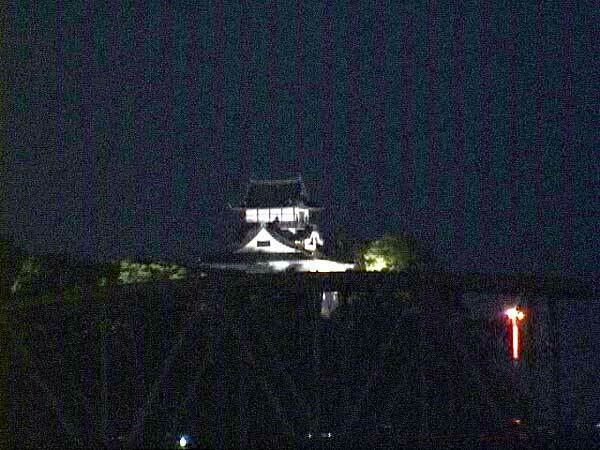 When we go to watch Ukai, we usually visit Inuyama, on the south bank of the Kisogawa in northern Aichi. 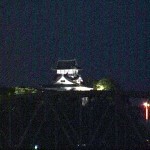 However ALC also visits (via the Japan Discovery Program) other nearby Cormorant Fishing destinations in central Japan such as Uji (on the Ujigawa just upstream from Uji Bridge) and Kyoto (Katsuragawa), the Hijikawa in Ozu (Ehime), and on the Nagaragawa below Gifu castle. 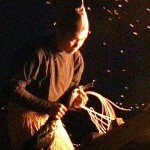 Ukai fishing requires a team, usually comprised of 3 members. The leader of the team is known as an “Usho”. 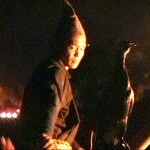 The Usho guides and handles the cormorant birds as they catch the fish. 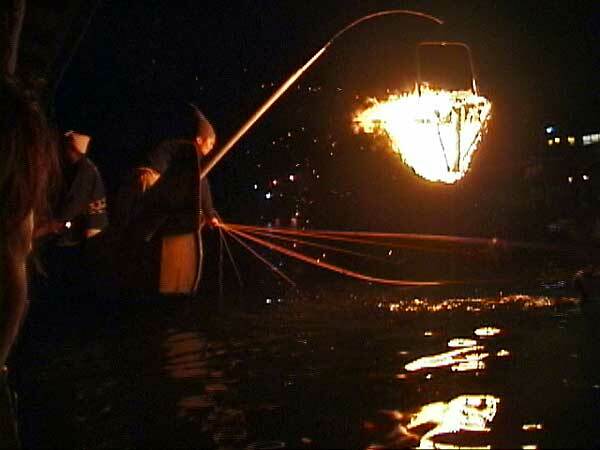 He is accompanied in the boat by two other men, the “nakanori” (middle rider) and the “tomonori” (companion rider) who pick up the fish that are caught, paddle the boat and guide the rudder-oar. There are occasionally extra crew, though it is quite rare. 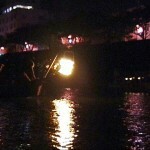 Ukai fishing is done from small flat bottomed boats called Ubune. The boats are designed to be able to navigate the shallow waters of the rivers where the fish are easier to catch. Each boat is usually about 13 meters (about 43 feet) in length. 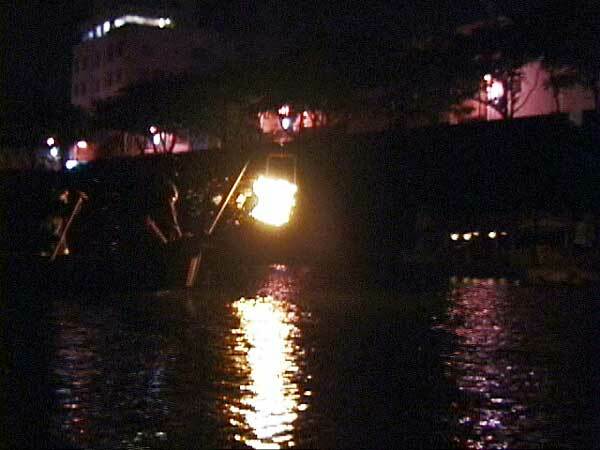 The boats are then paddled out onto the river after dark upstream of the fishing area (these days it is more common to see the boats taken upstream under the power of an outboard motor). 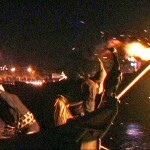 As they begin their fishing run, the fishermen attract the fish by lighting bright burning fires in the metal baskets suspended from the front of their boat. 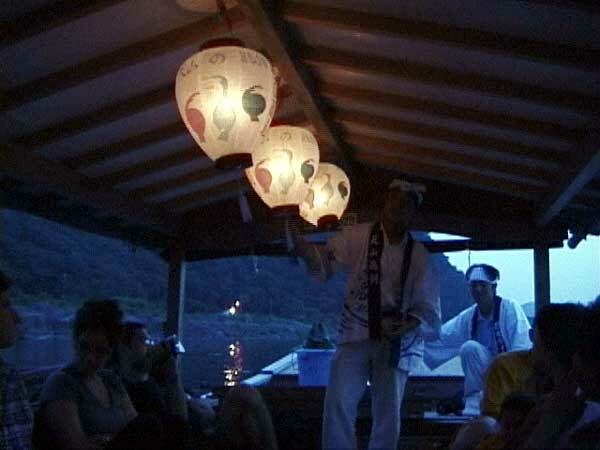 The light is supplemented by either the sound of a drum or the beating of an oar against the side of the boat. 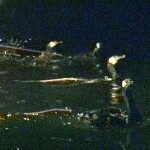 The cormorant birds are then sent out into the water to catch the fish. Each bird is on a leash, and it requires particular skill by the Usho to prevent the leashes from becoming entangled as the birds dive repeatedly for their catch. 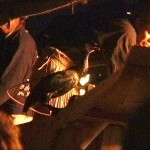 The leash is attached to a small metal ring that is attached around the base of the cormorant’s neck. 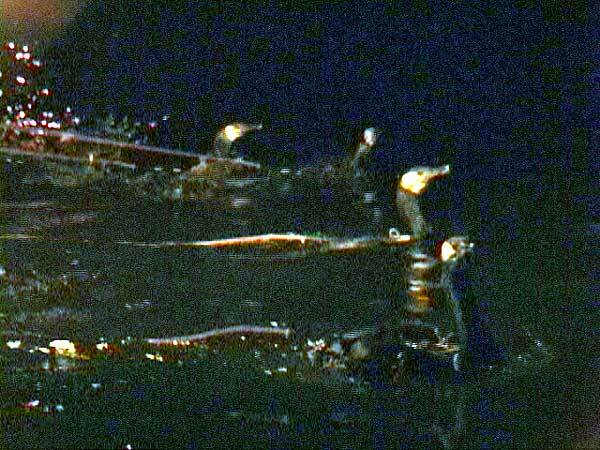 Every time a cormorant manages to catch a fish, the Usho pulls them back into the boat and forces them to disgorge the fish. Why don’t the cormorants just eat the fish, you ask? 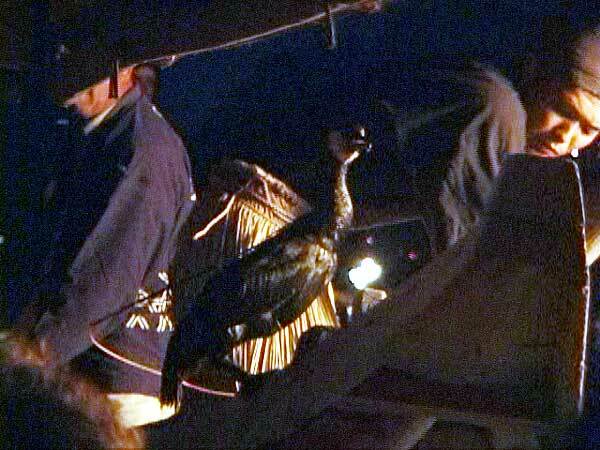 Because the metal ring around the base of the cormorants neck is just large enough to let extremely small fish through, but too small to let a bird swallow any fish of the size that fishermen, tourists and imperial family members are hoping to eat. 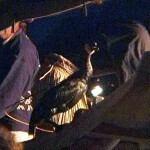 Cormorant fishing usually uses sea cormorants from the coast of Ibaraki Prefecture. The life span of a wild cormorant is approximately 4 to 5 years, but the cormorants used in Ukai are well fed and cared for and are treated like family by the fishing masters. Their life span is 15 to 20 years. 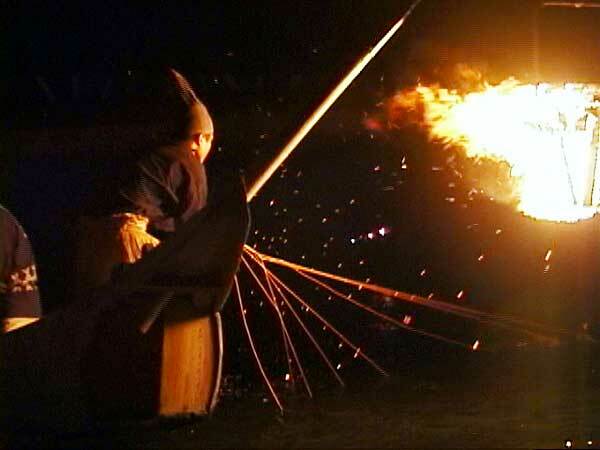 The fishermen still wear the same traditional clothing as that which was worn by their ancestors – a straw skirt that repels water, a dark cotton kimono and the kazaorieboshi and the black linen cloth that is wrapped around the head to fend off sparks. 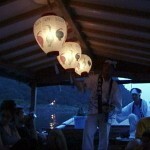 Watching ukai is to become immersed in one of Japan’s oldest traditions. One of the techniques used in Ukai is a technique called “Sougarami”. 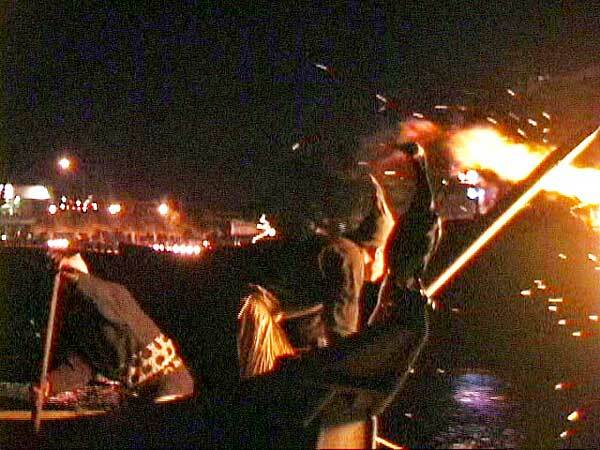 This method consists of six fishing boats lined up side by side to drive the sweetfish (usually Ayu) into shallow water so they can easily be caught. 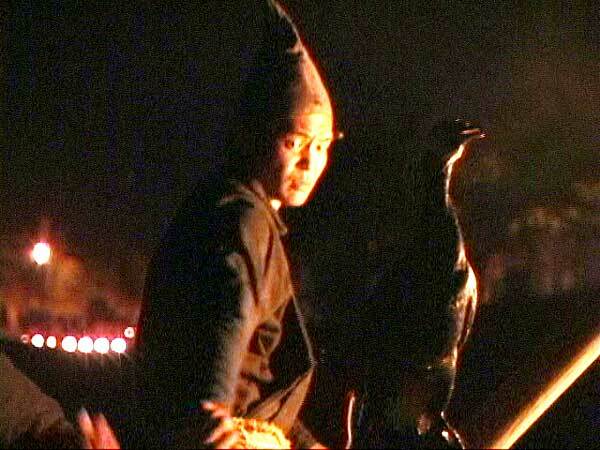 Calling out “Hou, Hou,” the cormorant fishing master – the Usho, the cormorants, and then the boats form one body and chase the Ayu.